Guest post from Martin Yate. Firing someone is the single most unpleasant responsibility a manager has, and never a decision that is made lightly. If you have been terminated, it is easy to point the finger of blame, but for your own financial well being, please look at where your other three fingers are pointing – right back at you. It is difficult to face, but almost always, you bear a degree of accountability. If you take responsibility you can clean up your act and leave the past behind. If you do not take responsibility for past actions, you cannot change the problem behaviors that cost you that job and they will continue to dog you through the years. Ignore this advice and get a couple of terminations and you kill any potential for professional growth and good jobs at better companies. So the first and most important thing is to take responsibility for the actions that led to your dismissal. Call the person who fired you; your aim is to clear the air, so whatever you do, don’t be antagonistic. Reintroduce yourself and take responsibility for what happened. Say that you appreciate that the manager had to do what was done, that you want to apologize for being such a problem, and that you learned from the experience. Be sincere. If the manager talks to you about your transgressions, don’t take offense: you are here with a business agenda not to fight battles already lost. Instead listen, try to learn and whatever is said thank the manager for the insights. Even if the termination was unjust it doesn’t matter. It is better to eat a little crow now if it will help you get back to work and make a living, and benefit you for the rest of your working life. After you have made your apologies, explain that you are still looking for a new job. Then address what you learned and ask, “If you were asked as part of a pre- or post-employment reference check, what would you say about me? How would you describe my leaving the company? Would you say that I was fired or that I simply resigned? You see, every time I tell someone about my termination, whoosh, there goes another chance of getting back to work. You had a right to terminate me, and I have learned and I have apologized and I am suffering financially in ways you can’t imagine. Can we bury the past so that I can put my life back together? It’s in your hands.” Most managers will give you a break. Taking responsibility and cleaning up the past really works and is the first step in putting yourself back on a success track. * What is company policy on giving references? * Are managers allowed to give references? * What information will HR give in response to a reference request? Unwarranted crappy references have led to enough lawsuits over the years that many companies have a policy that managers are not allowed to give references and that all HR will confirm are dates of employment and salary at end of employment. 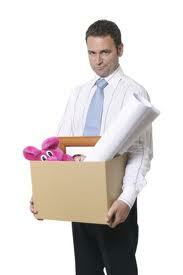 This may give you an added line of security that the past employer will say nothing about your termination. If this is the case, but that past manager, despite your efforts to clean up the past still insists on damning your future, tell HR. Tell them what he has said he will say about you, that he is actively striving to deny you the opportunity to put food on your table and a roof over your head. Ask if there is anything they can do? If they “aren’t sure” ask again, adding that you don’t want a lawsuit, you just want to get back to work. If you have followed my advice, ninety nine times out of a hundred, someone in human resources will spike his guns. You can learn more about resumes, job search and interviews at Martin’s free weekly webcast http://my.knockemdead.com/. This entry was posted in Career Search and tagged fired, knock em dead, terminated on March 24, 2012 by Things Career Related.